It's been established that electric cars aren't fond of weather that isn't pretty mild. But a new study from AAA says that range advertised could be cut by a staggering 57 percent if conditions aren't ideal. 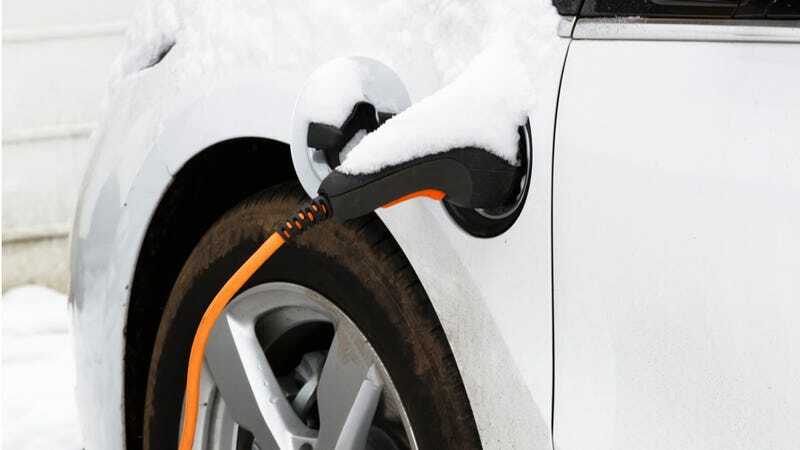 In a study released Thursday, AAA says the average range of EVs in their testing was cut by that 57 percent figure over the EPA rating when driving in 20 degree weather. That means they were only able to get 43 miles on a charge when it was below freezing, versus 105 miles when it was 75 degrees out. Hot weather also decreased EV range, AAA says, but not as much as the freezing temps. Until that's all figured out, EVs are only going to do well in places that don't see much weather, like Southern California. Try explaining to someone in Chicago this winter why their Nissan Leaf only got them 43 precent of the way to work.